Our new ticketing system and client portal is now available for all clients. 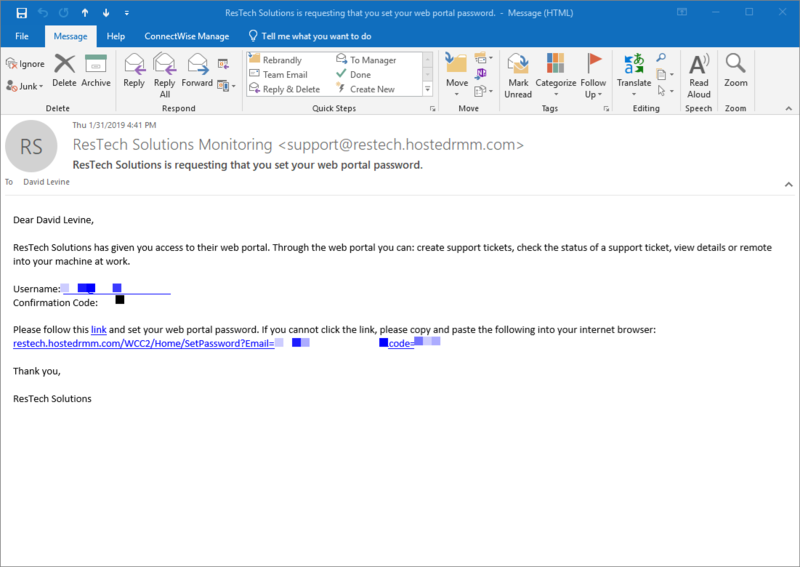 To request access or submit a support request please send an email to support [at] restech [dot] solutions. You may also use the links below to access the client portal. Please note that the main client portal is for the ticketing system. The second portal is for remote access if you have been granted remote access to a monitored computer or server in your office. For clients whose systems are not monitored and need a remote support session should click on the remote support link below. Please note that you must contact the support desk in order to have a remote support session generated. 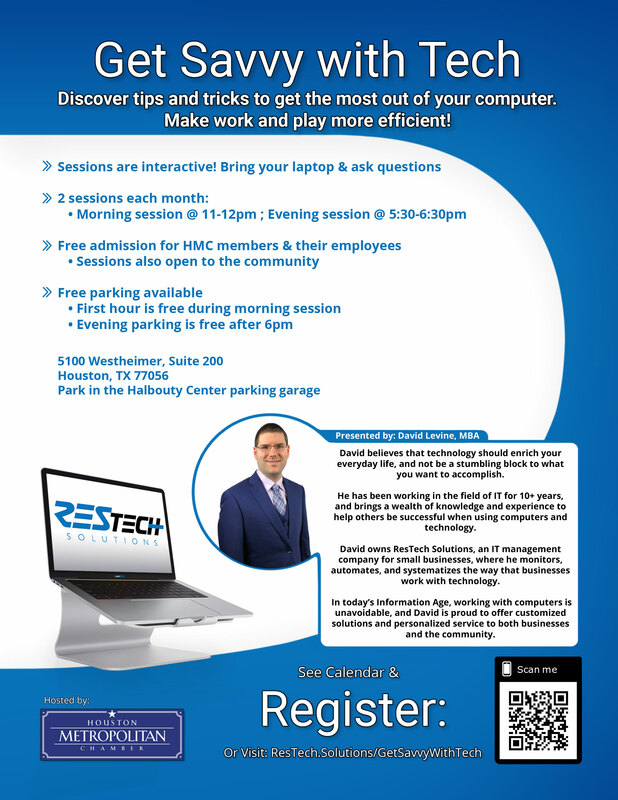 The online meeting room link is for accessing ResTech’s online meeting room for any remote meetings scheduled for the meeting room. When contacting support there may be times when you are asked for your computer name. Please reference the FAQ section below for directions to find your computer name. Submit a ticket using the client portal. Log into the client portal and click on the Tickets tab. Click on the Create Ticket button. Fill out the problem description and provide as much detail as possible including any steps to reproduce your issue. 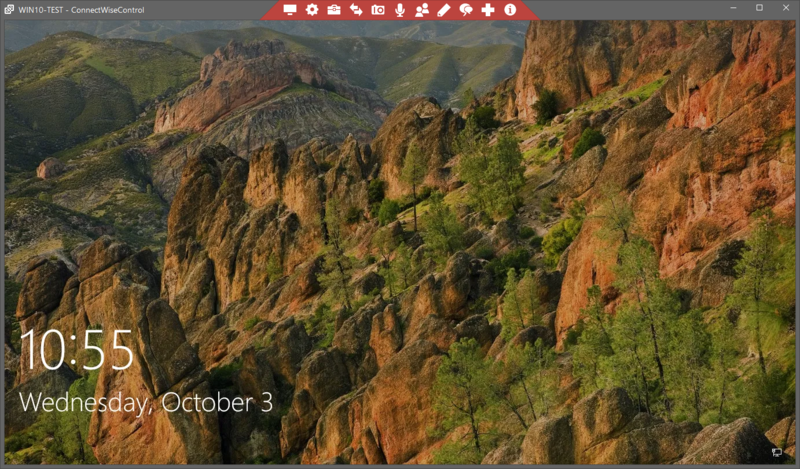 You may also include any attachments (such as screenshots or documents) that may be needed. Your contact info will be pre-populated for you. Please make any necessary updates for the ticket. Click on the Submit button to submit your ticket. How Do I Check A Ticket's Status Or Update A Ticket? 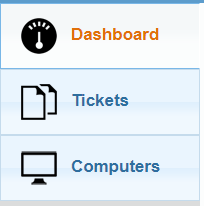 Locate the ticket you want to check/update and click on the ticket title to open the ticket. When viewing the ticket you can see all updates added to the ticket in the discussion section. This ticket is new and therefore has no updates on it. To add an update to the ticket, type in the discussion text box and then click the Submit button. The ticket window will then close. To cancel a ticket click on the Change Status button and in the drop down select the >Cancelled option. You then need to click on the Submit button to save the change. If your company has opted to approve tickets before they are worked on the ticket will be put into a Waiting Client Approval status. An email notification will be sent to the primary contact about the pending approval. You will need to update the status to Approved in order to notify the help desk of the ticket. If you select Not Approved the ticket will be closed. How Do I Get Remote Access To My Computer? Please note that this option is only available to clients who currently subscribe to our monitoring service. Send an email to support to request remote access. Remote access will be granted once the request has been approved. If approved, you will receive an email to setup your password to the Remote Access Portal. Once your password has been set go to the main login page for the Remote Access Portal to login. How Do I Remotely Access My Computer? Please note that you will not be able to establish a remote session if your computer is offline. Log into the Remote Access Portal. Click on the Computers link on the left or at the top of the Dashboard page. You will then see a list of all computers you have been given remote access to. Click on the computer you want to access and a new screen will open. Click the Remote Access button. A new tab will open showing that the system is attempting to join you to the remote session. 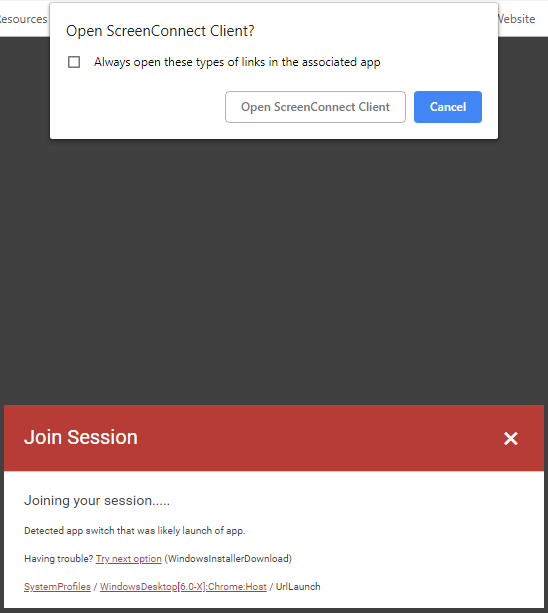 You may be prompted to run a download or open a application called ScreenConnect Client. Follow the prompts. Once connected you will see the remote session open. Treat the session as if you were sitting at your actual computer. Log off or lock your remote system when you are finished and close the remote session. How Do I Get Remote Support If My System Is Not Monitored? Contact support to open a ticket or submit a ticket via the client portal. Support will review your request and will contact you if a remote support session is needed. Support will setup a remote session. Click on the Remote Support button. Enter the session code provided by the support rep. Follow the prompts to join the session. 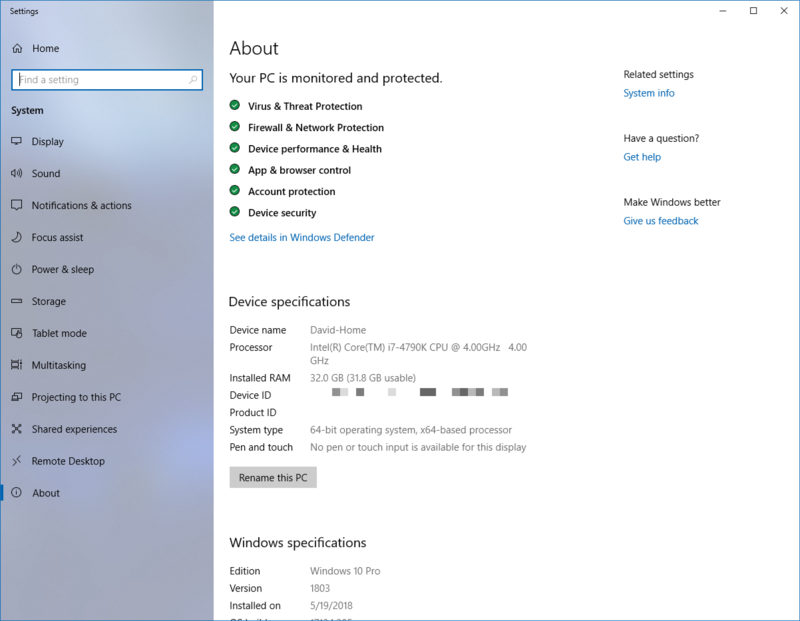 Locate the Device name under the Device specifications section.